4 October 2010, at 9:08a.m. CZECH REPUBLIC - At the recent International Egg Commission (IEC) Prague 2010 Conference, a number of International Egg Awards were presented to individuals for their outstanding contribution to the egg industry worldwide. 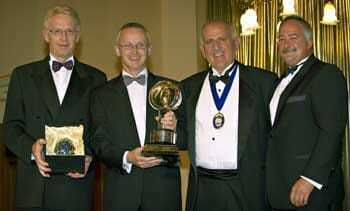 The Golden Egg Award was presented to the British Egg Industry Council of the UK. The Sanovo Group of companies received the Crystal Egg Award. The Denis Wellstead Award went to John Campbell, OBE, of Glenrath Farms in the UK. Michael Foods Inc. of the US was awarded the Egg Products Company of the Year Award.